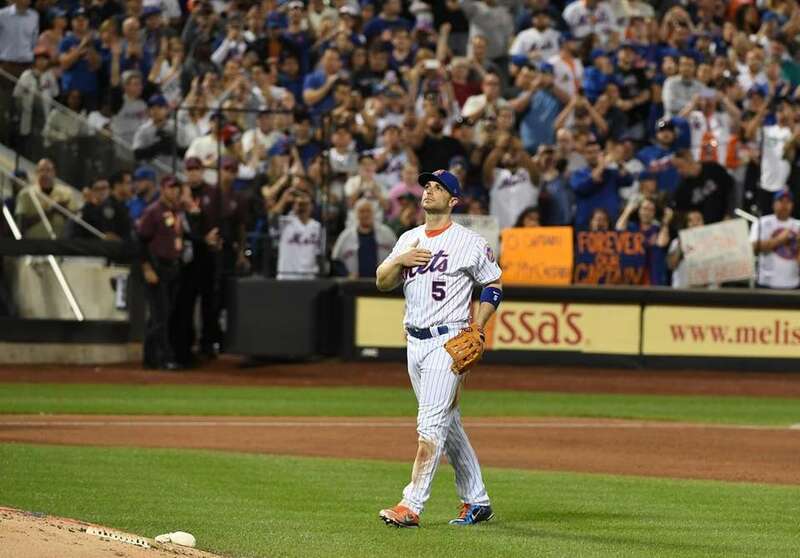 David Wright says goodbye to the Mets with one last game against the Marlins on Saturday, Sept. 29, 2018 at Citi Field. 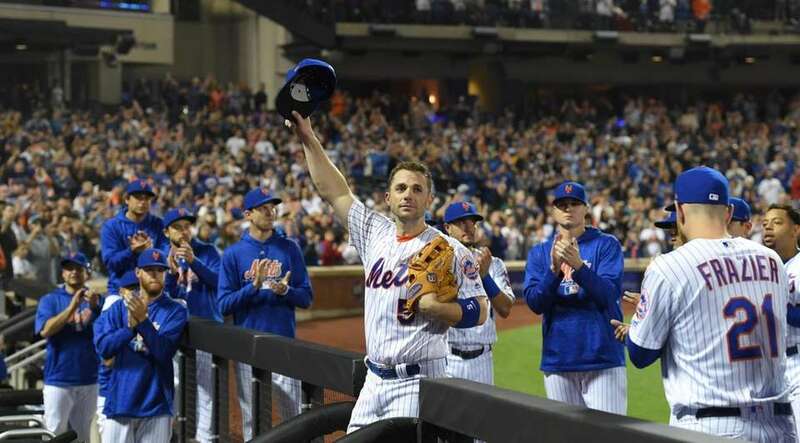 New York Mets third baseman David Wright tips his cap to fans as he comes out of the game against the Miami Marlins in a baseball game at Citi Field on Saturday, Sept. 29, 2018. 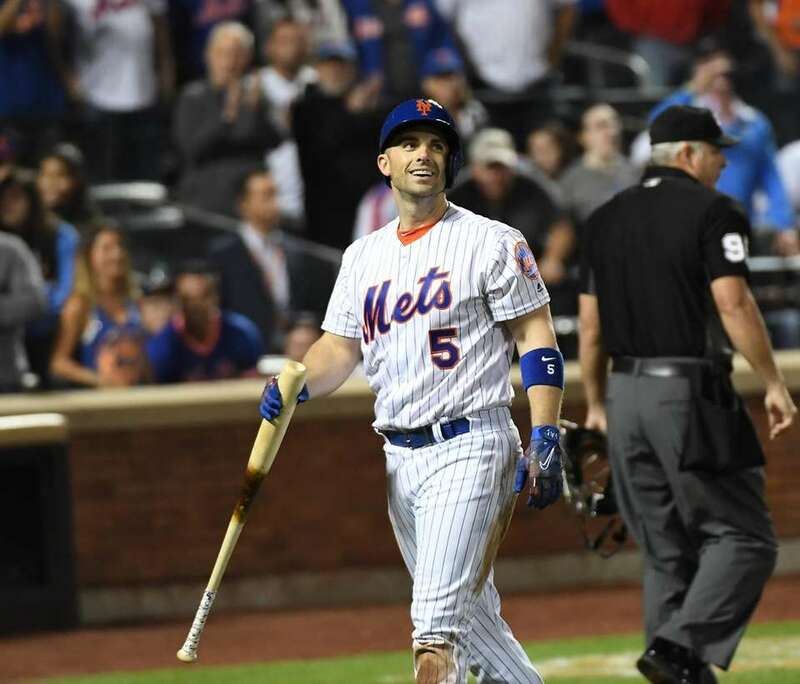 New York Mets shortstop Jose Reyes greets Mets third baseman David Wright as Wright comes out of the baseball game against the Miami Marlins at Citi Field on Saturday, Sept. 29, 2018. 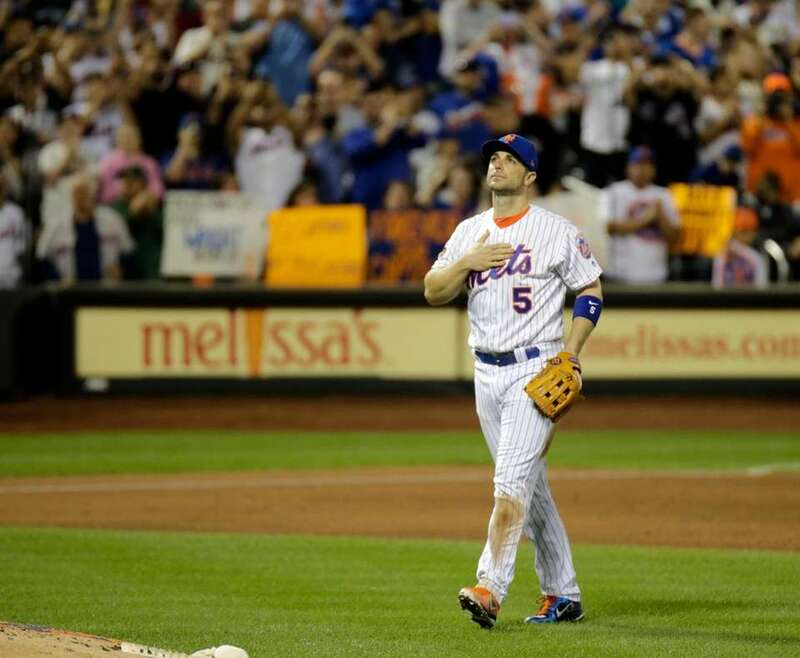 Mets third baseman David Wright leaves the field in the 5th inning his final game on Saturday, Sept. 29, 2018, against the Miami Marlins at Citi Field. 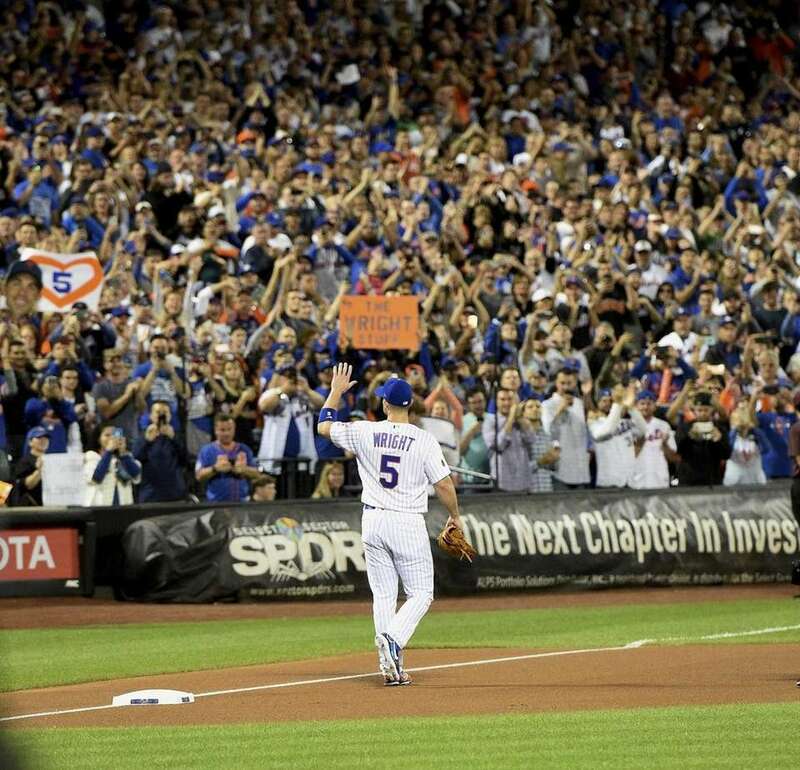 New York Mets third baseman David Wright waves to fans as he takes the field against the Miami Marlins in a baseball game at Citi Field on Saturday, Sept. 29, 2018. 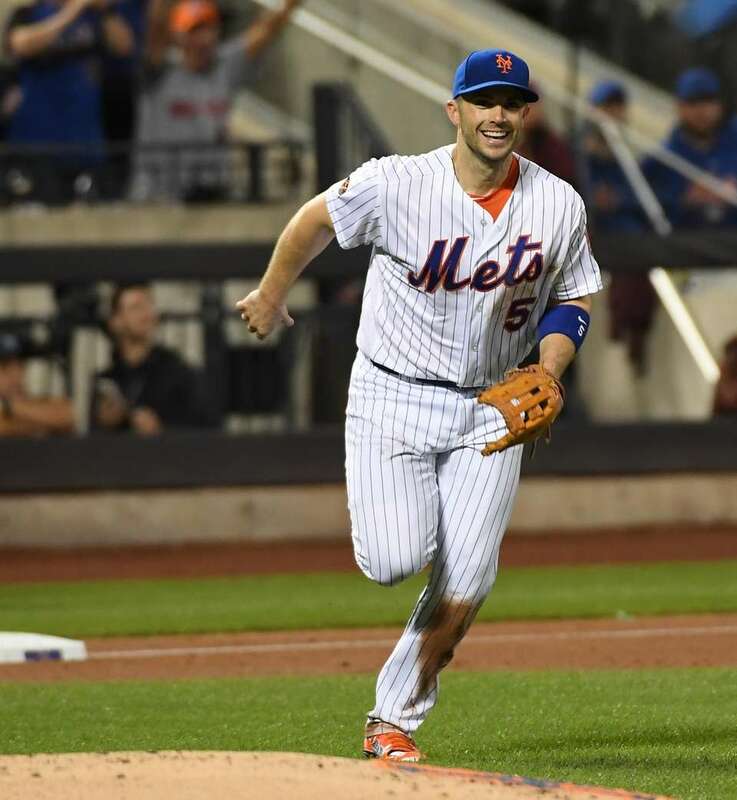 New York Mets third baseman David Wright reacts as he comes out of the game against the Miami Marlins in a baseball game at Citi Field on Saturday, Sept. 29, 2018. 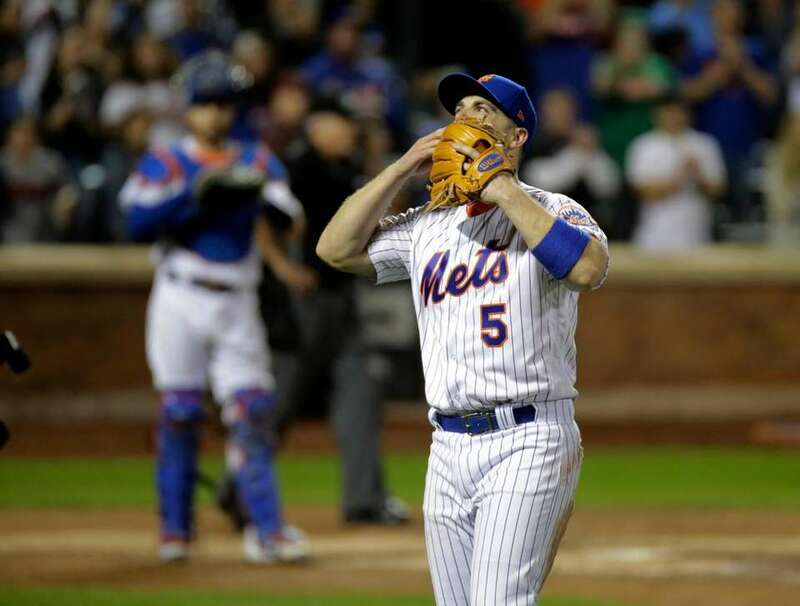 New York Mets third baseman David Wright blows a kiss to fans as he comes out of the game against the Miami Marlins in a baseball game at Citi Field on Saturday, Sept. 29, 2018. 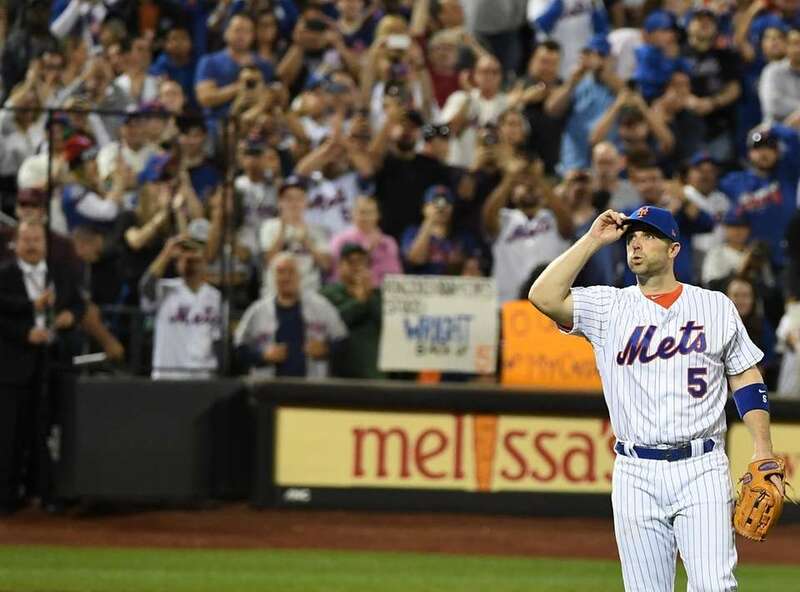 Mets third baseman David Wright fouls out to 1st in the 4th inning his final game on Saturday, Sept. 29, 2018, against the Miami Marlins at Citi Field. 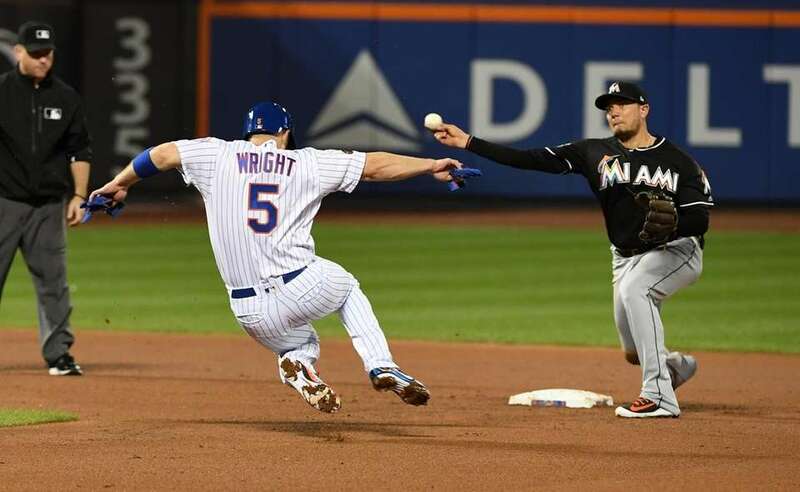 Mets third baseman David Wright is out at 2nd base as Miami Marlins shortstop Miguel Rojas (19) for the double play in 1st inning his final game on Saturday, Sept. 29, 2018, against the Miami Marlins at Citi Field. 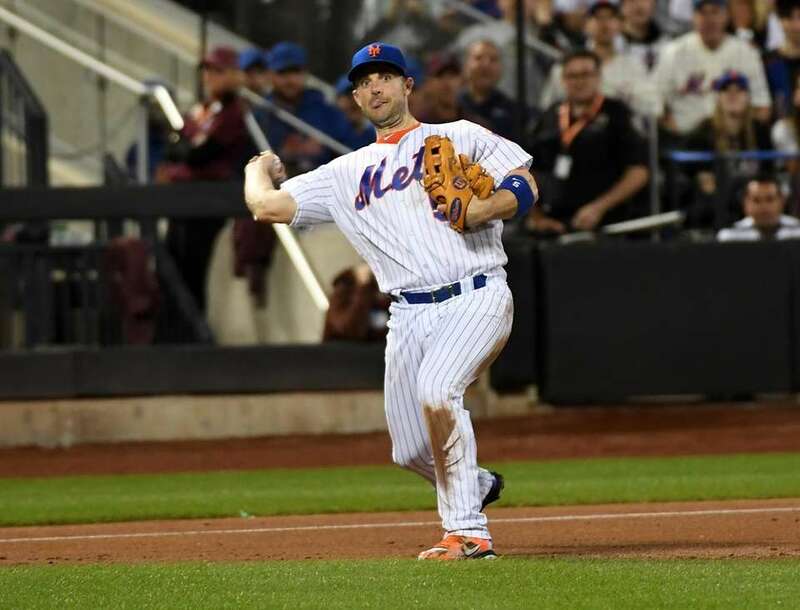 New York Mets third baseman David Wright fields a ball and throws to first against the Miami Marlins during the second inning of a baseball game at Citi Field on Saturday, Sept. 29, 2018. 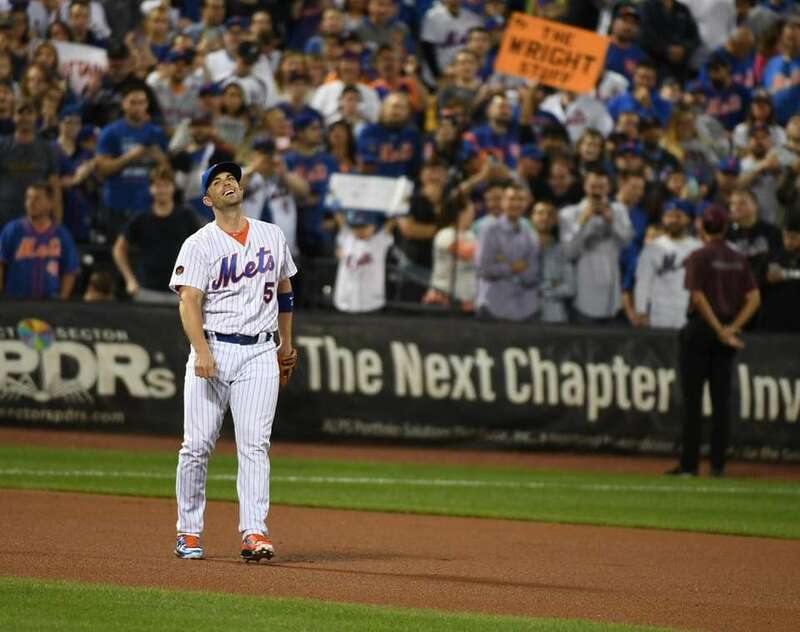 New York Mets third baseman David Wright is forced out as Miami Marlins shortstop Miguel Rojas turns a double play during the first inning of a baseball game at Citi Field on Saturday, Sept. 29, 2018. 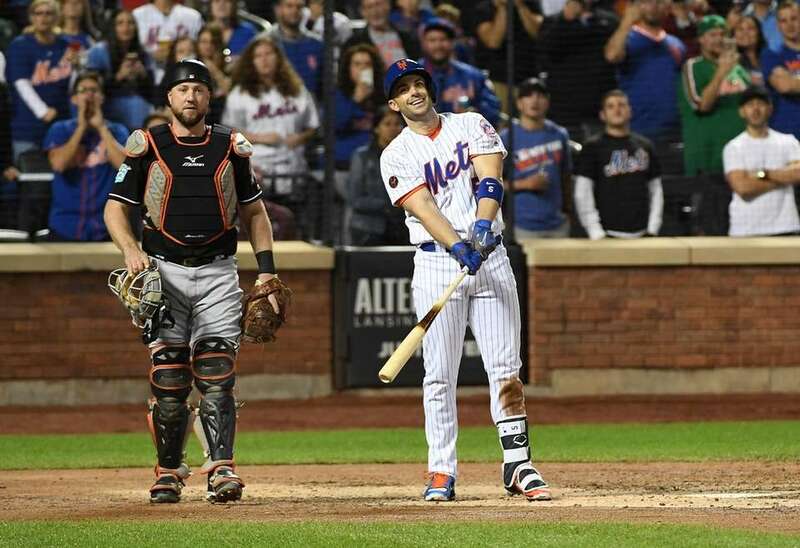 New York Mets third baseman David Wright bats against the Miami Marlins during the first inning of a baseball game at Citi Field on Saturday, Sept. 29, 2018. 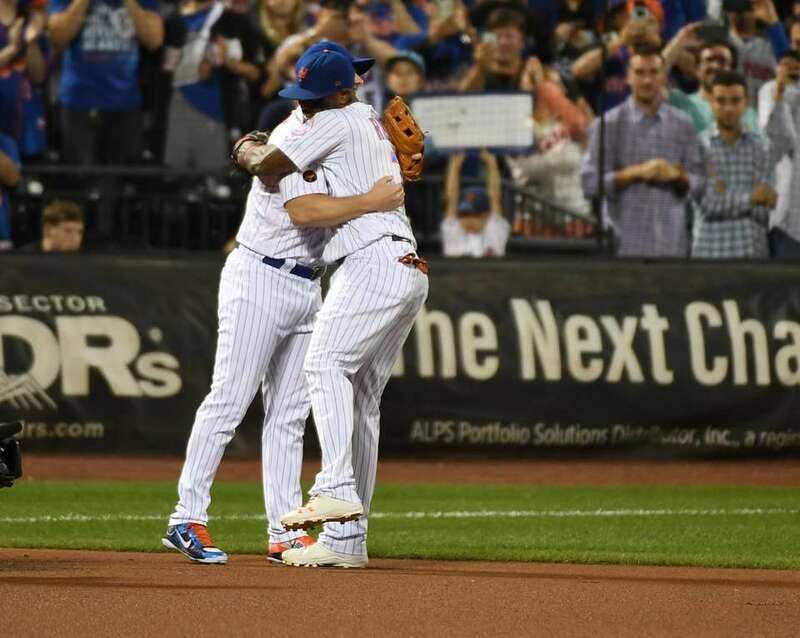 New York Mets third baseman David Wright and Mets shortstop Jose Reyes react against the Miami Marlins during the first inning of a baseball game at Citi Field on Saturday, Sept. 29, 2018. 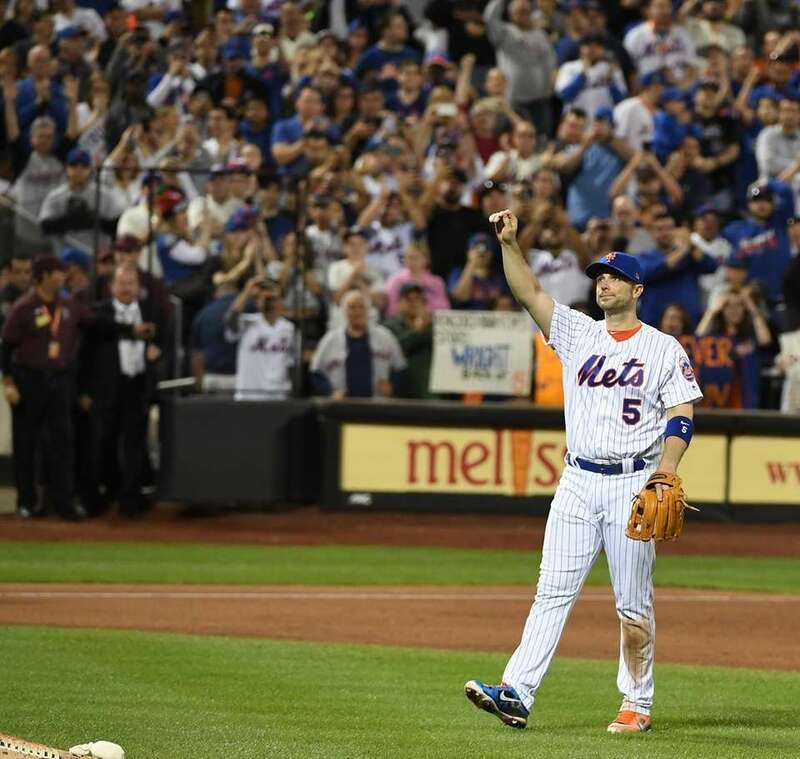 Mets third baseman David Wright fields the ball in the 2nd inning his final game on Saturday, Sept. 29, 2018, against the Miami Marlins at Citi Field. 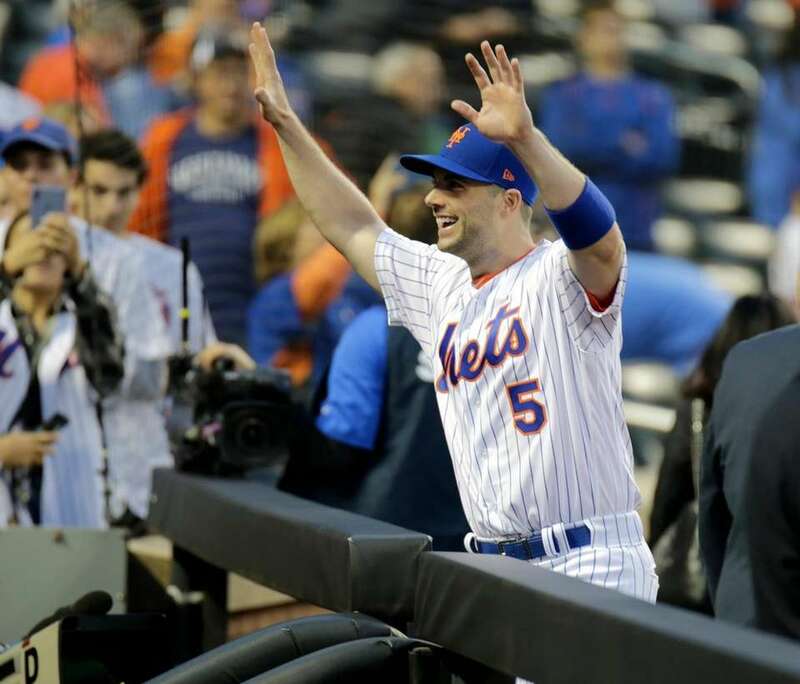 New York Mets third baseman David Wright waves to fans before a baseball game against the Miami Marlins at Citi Field on Saturday, Sept. 29, 2018. 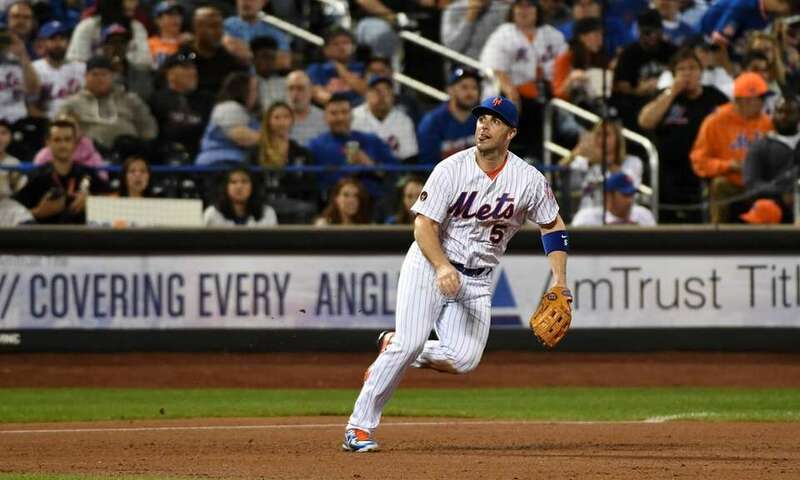 New York Mets third baseman David Wright sets against the Miami Marlins during the first inning of a baseball game at Citi Field on Saturday, Sept. 29, 2018. 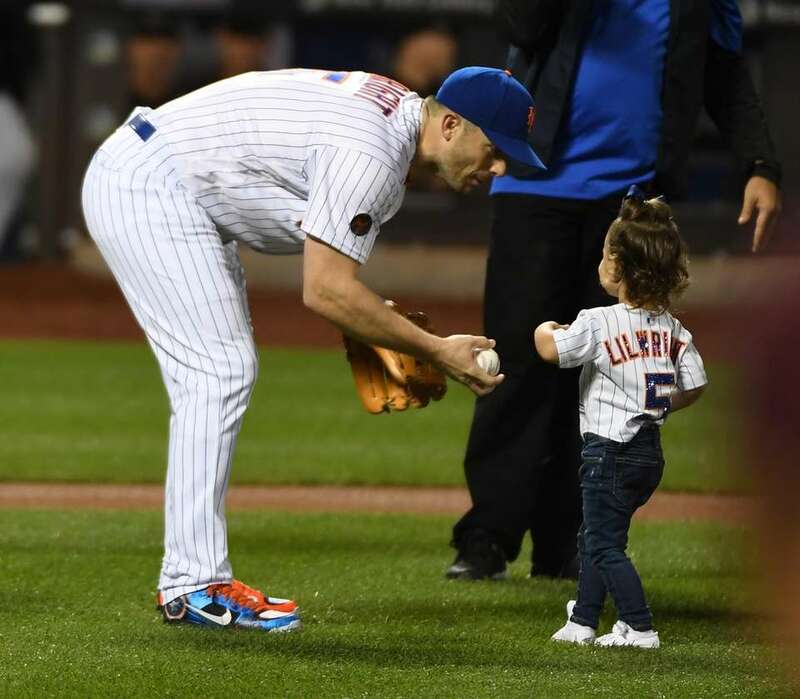 Mets third baseman David Wright gives the ball to his daughter Olivia Shea Wright age 2 after her 1st pitch on the field for the start of his final game on Saturday, Sept. 29, 2018, against the Miami Marlins at Citi Field. 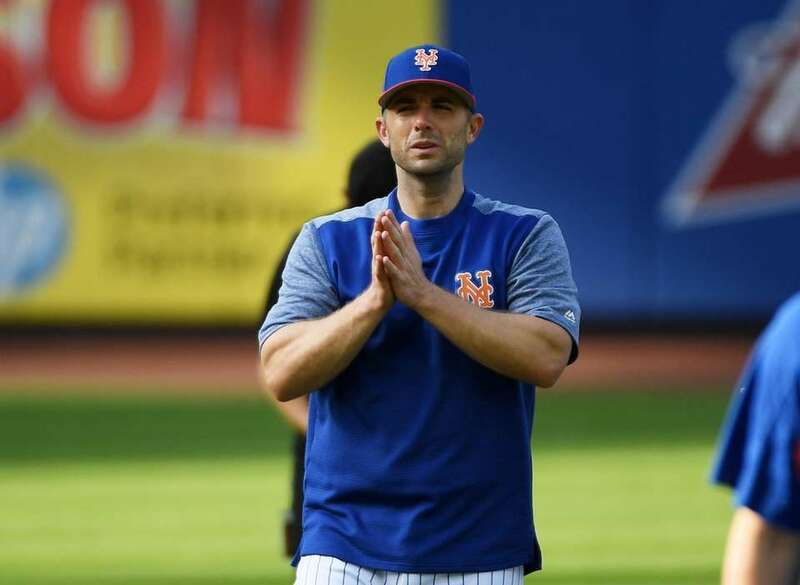 Mets third baseman David Wright in the dugout before the start of his final game on Saturday, Sept. 29, 2018, against the Miami Marlins at Citi Field. 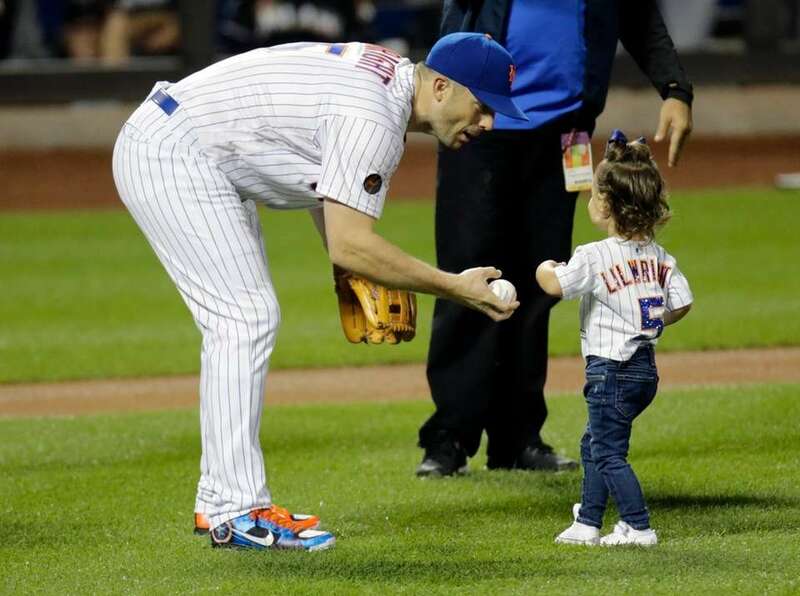 Mets third baseman David Wright on the field for the start of his final game on Saturday, Sept. 29, 2018, against the Miami Marlins at Citi Field. 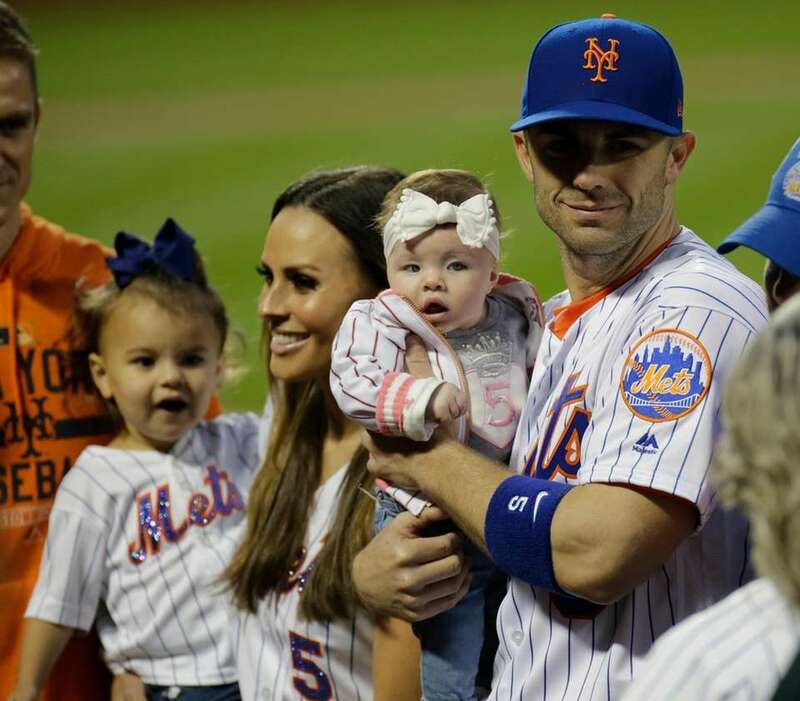 Olivia Shea Wright age 2 with mom Molly Beers and Madison Wright age 4 months her dad Mets third baseman David Wright before the start of his final game on Saturday, Sept. 29, 2018, against the Miami Marlins at Citi Field. 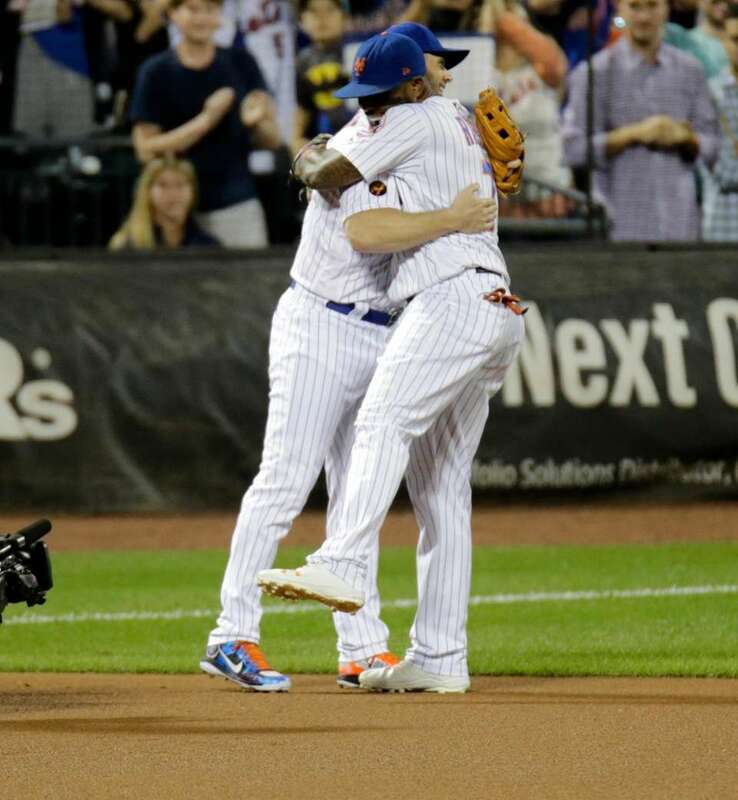 Mets third baseman David Wright with New York Mets shortstop Jose Reyes (7) hug on the field for the start of his final game on Saturday, Sept. 29, 2018, against the Miami Marlins at Citi Field. 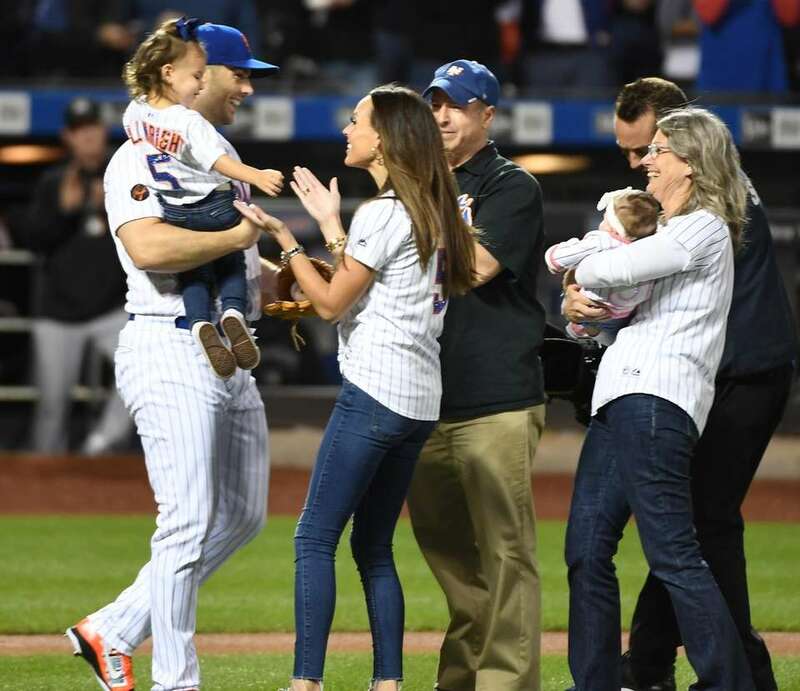 Olivia Shea Wright age 2 with mom Molly Beers after she throws out the 1st pitch with Grandparents: Elisa Wright, Rhon Wright and sister Madison Wright age 4 months to her dad Mets third baseman David Wright before the start of his final game on Saturday, Sept. 29, 2018, against the Miami Marlins at Citi Field. 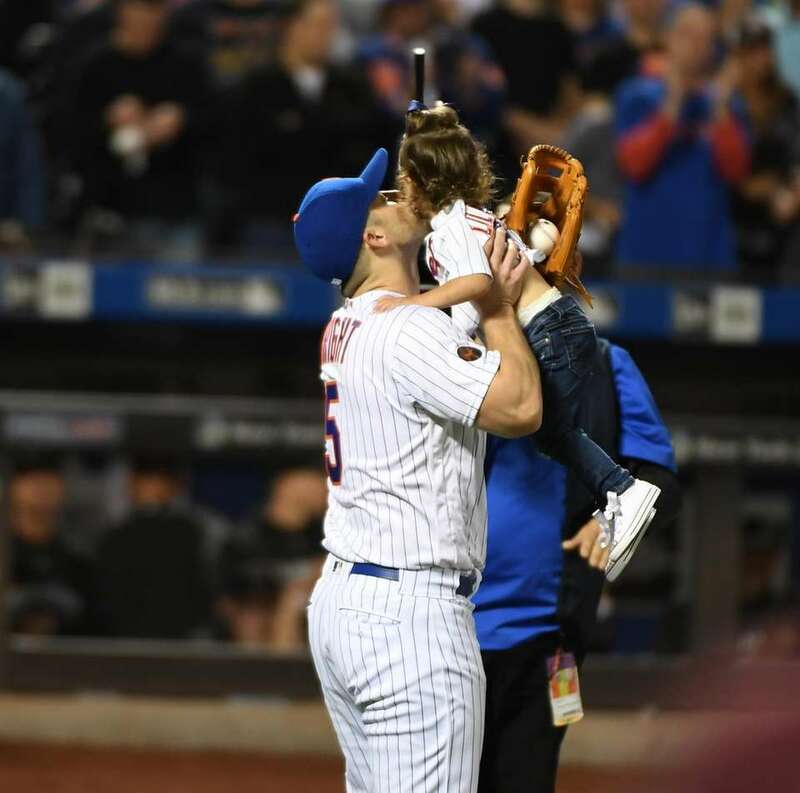 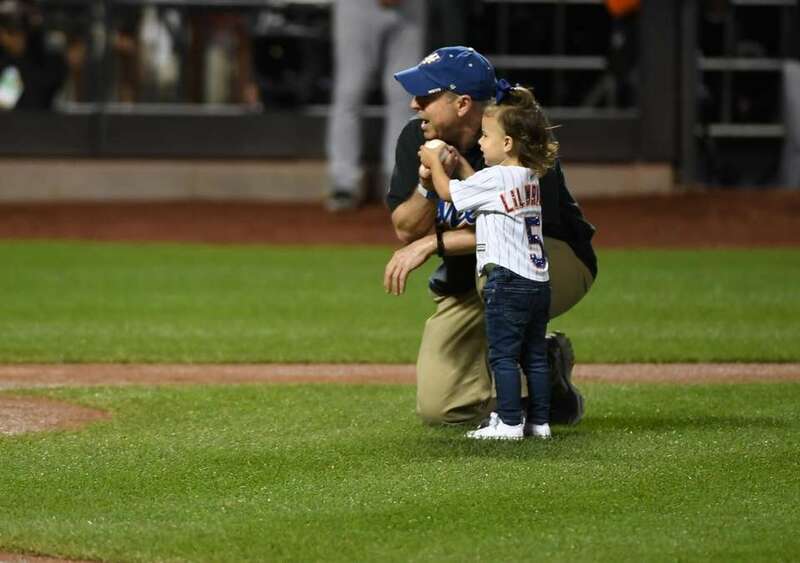 Olivia Shea Wright age 2 after she throws out the 1st pitch to her dad Mets third baseman David Wright before the start of his final game on Saturday, Sept. 29, 2018, against the Miami Marlins at Citi Field. 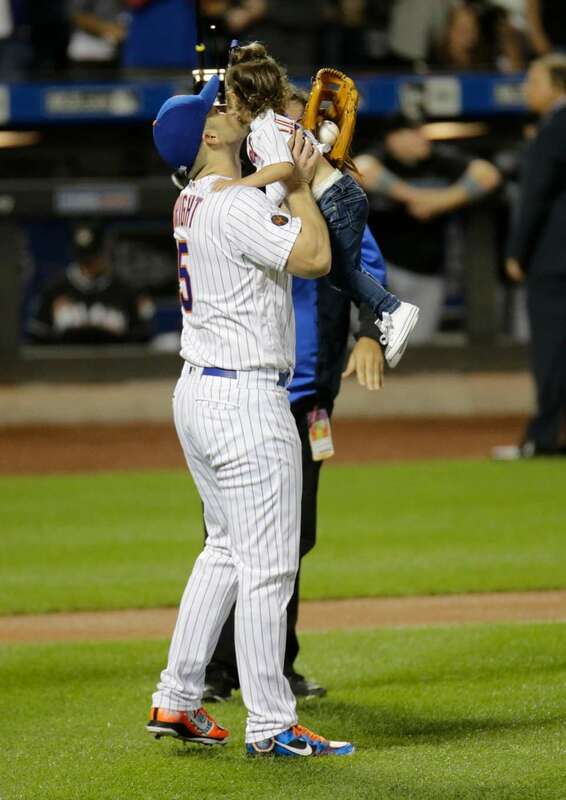 Olivia Shea Wright age 2 with the help from grandpa Rhon Wright gets ready to throw out the 1st pitch to her dad Mets third baseman David Wright before the start of his final game on Saturday, Sept. 29, 2018, against the Miami Marlins at Citi Field. 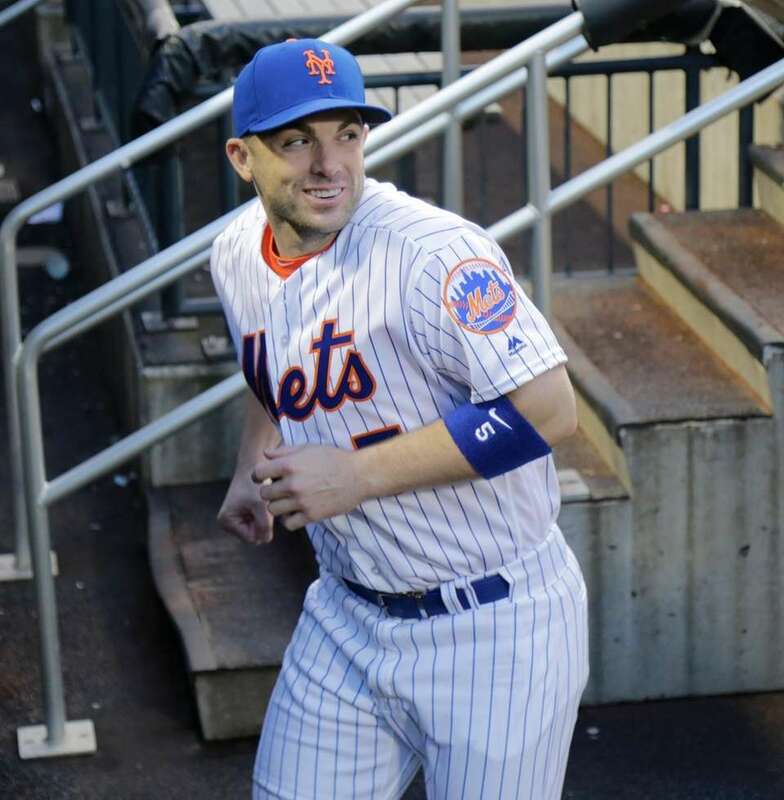 New York Mets third baseman David Wright runs out of the dugout before a baseball game against the Miami Marlins at Citi Field on Saturday, Sept. 29, 2018. 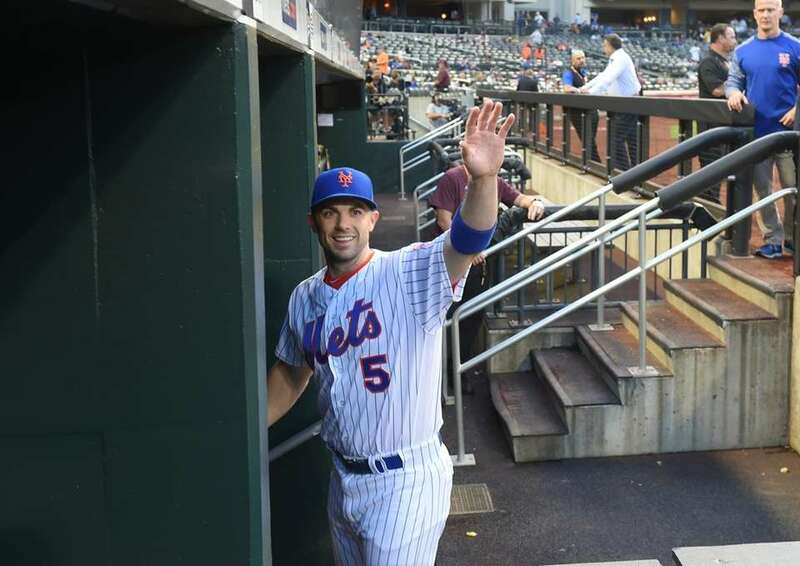 New York Mets third baseman David Wright waves from the dugout before a baseball game against the Miami Marlins at Citi Field on Saturday, Sept. 29, 2018. 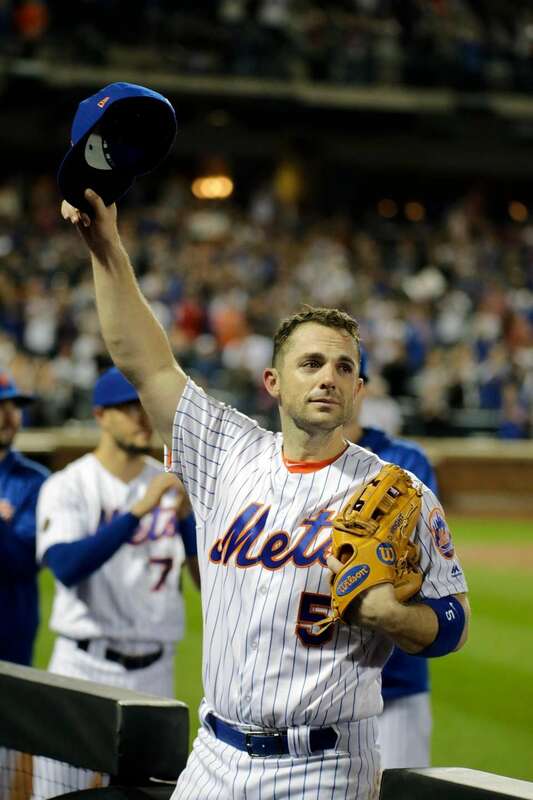 Mets third baseman David Wright waves to the crowd as he heads to the dugout after the warmups before his final game on Saturday, Sept. 29, 2018, against the Miami Marlins at Citi Field. 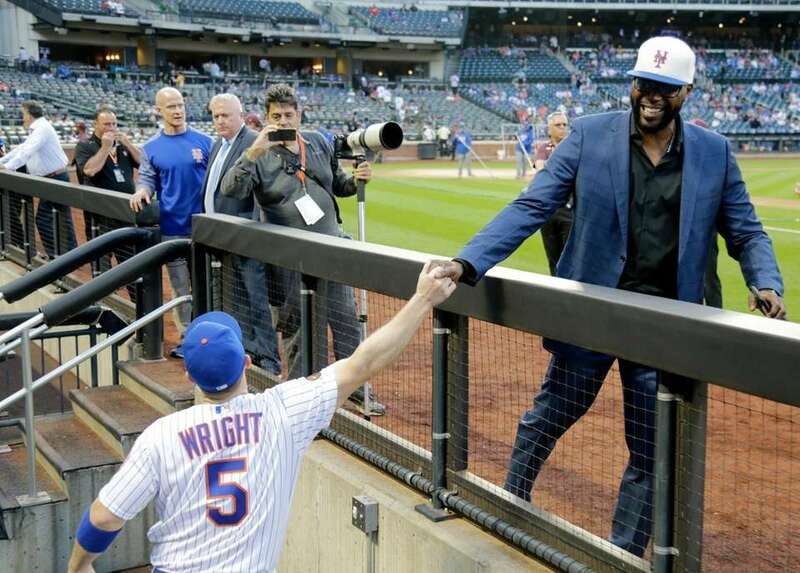 Mets third baseman David Wright high fives former mets teammate Cliff Floyd before his final game on Saturday, Sept. 29, 2018, against the Miami Marlins at Citi Field. 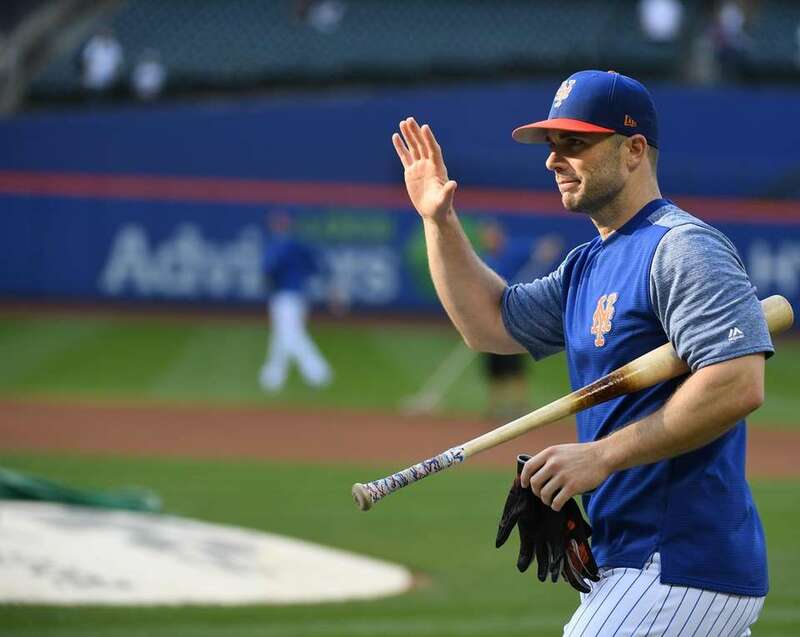 New York Mets David Wright takes batting practice before a baseball game against the Miami Marlins at Citi Field on Saturday, Sept. 29, 2018. 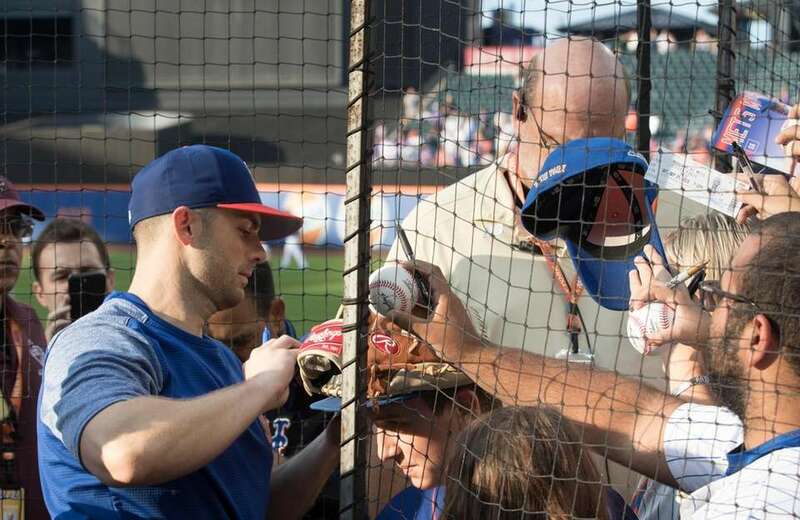 New York MetsÕ David Wright talks with Miami Marlins third base coach Fredi Gonzalez during batting practice before a baseball game against the Miami Marlins at Citi Field on Saturday, Sept. 29, 2018. 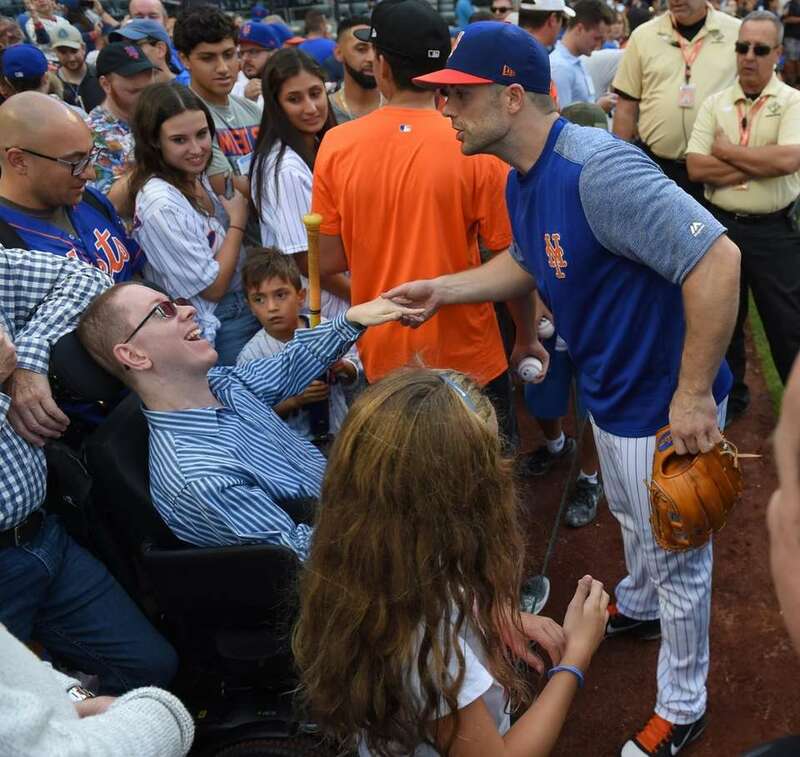 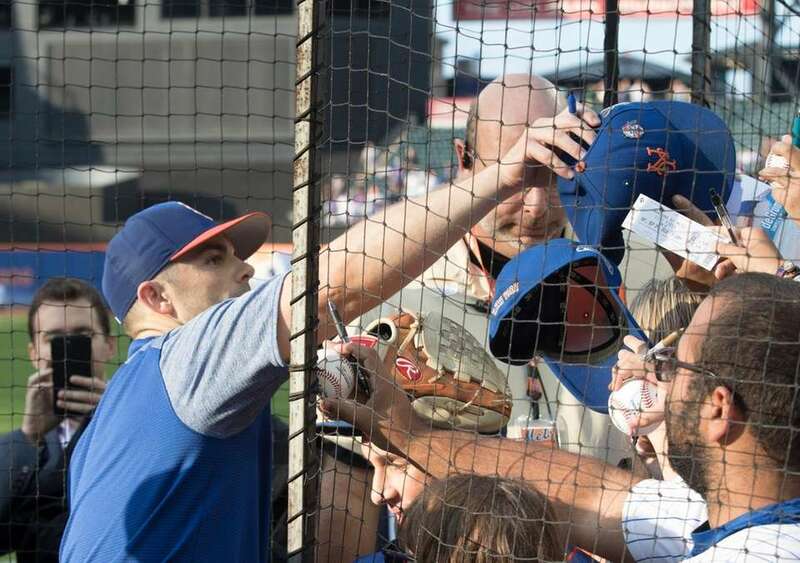 Mets third baseman David Wright signs autographs for fans before his final game on Saturday, Sept. 29, 2018, against the Miami Marlins at Citi Field. 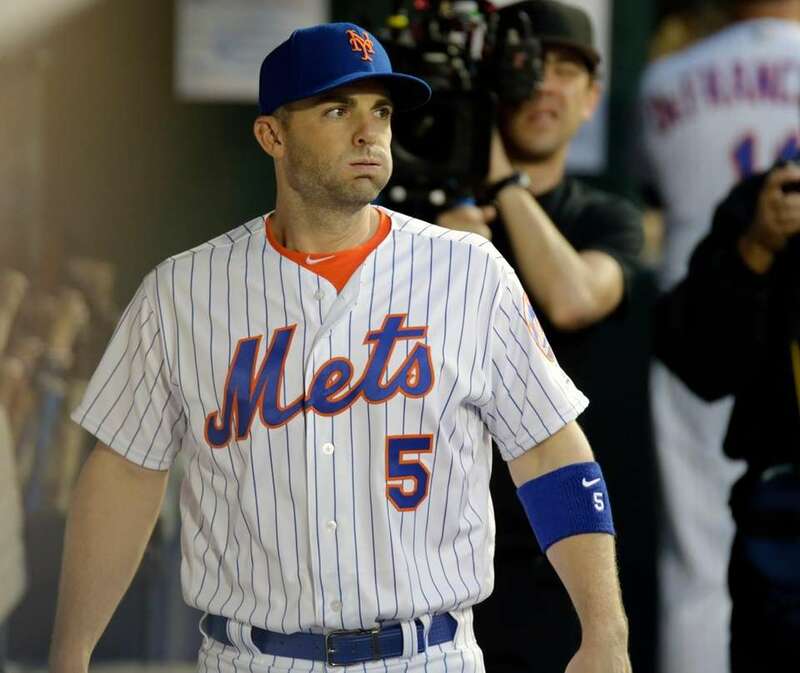 Mets third baseman David Wright during warmups before his final game on Saturday, Sept. 29, 2018, against the Miami Marlins at Citi Field. 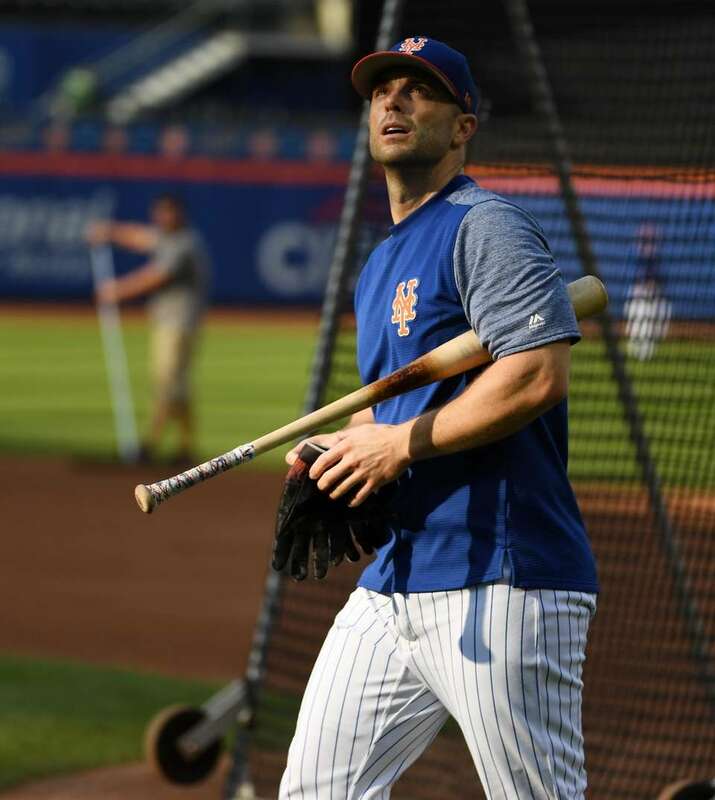 New York MetsÕ David Wright takes batting practice before a baseball game against the Miami Marlins at Citi Field on Saturday, Sept. 29, 2018. 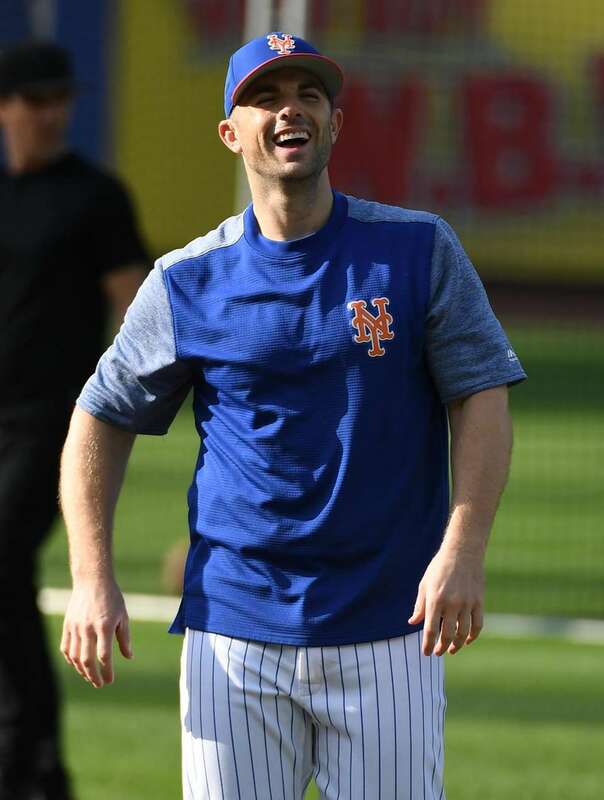 New York MetsÕ David Wright stretches during batting practice before a baseball game against the Miami Marlins at Citi Field on Saturday, Sept. 29, 2018. 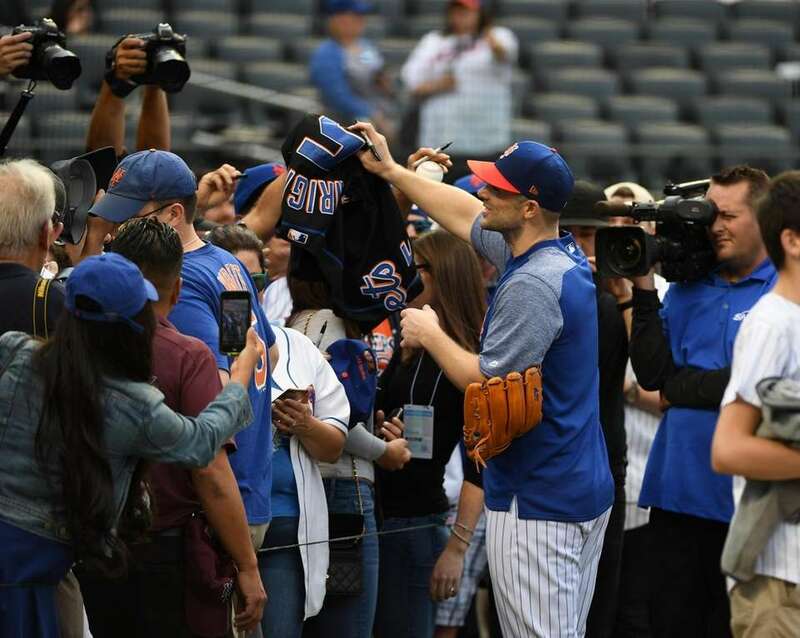 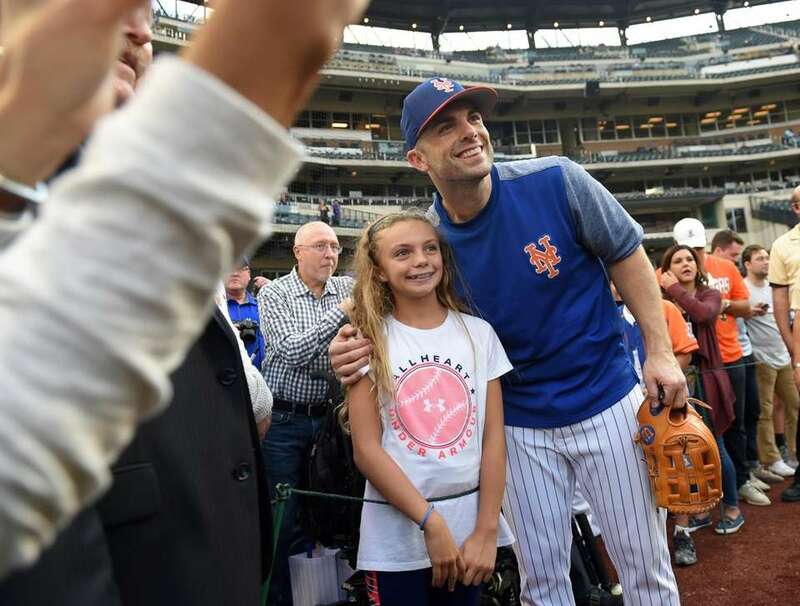 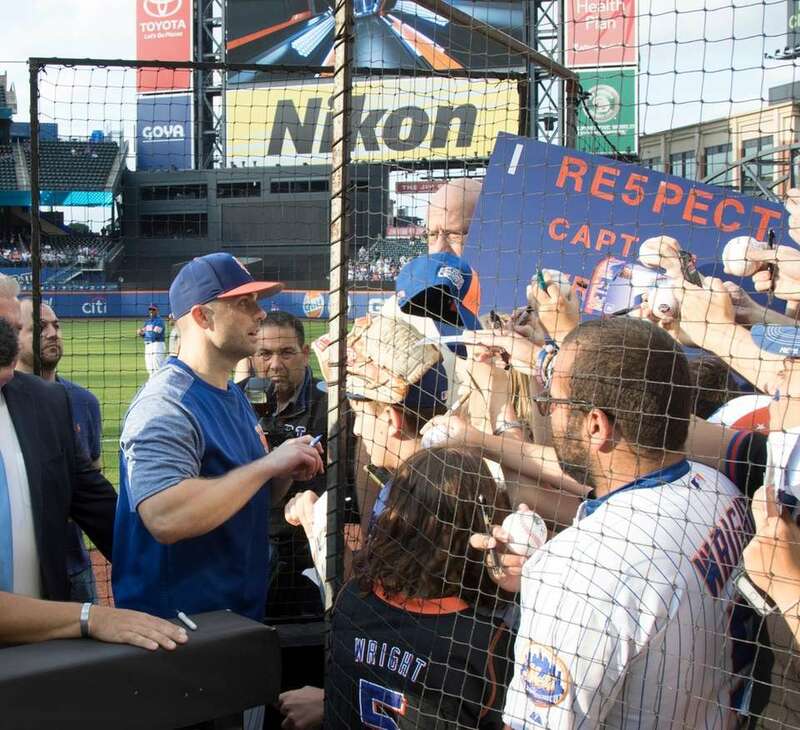 New York Mets' David Wright poses for selfies and signs autographs for fans during batting practice before a baseball game against the Miami Marlins at Citi Field on Saturday, Sept. 29, 2018. 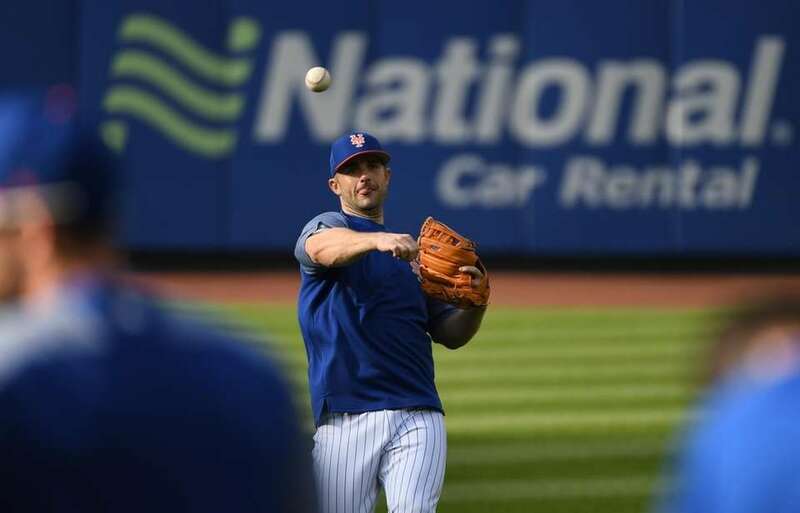 New York MetsÕ David Wright fields the ball during batting practice before a baseball game against the Miami Marlins at Citi Field on Saturday, Sept. 29, 2018. 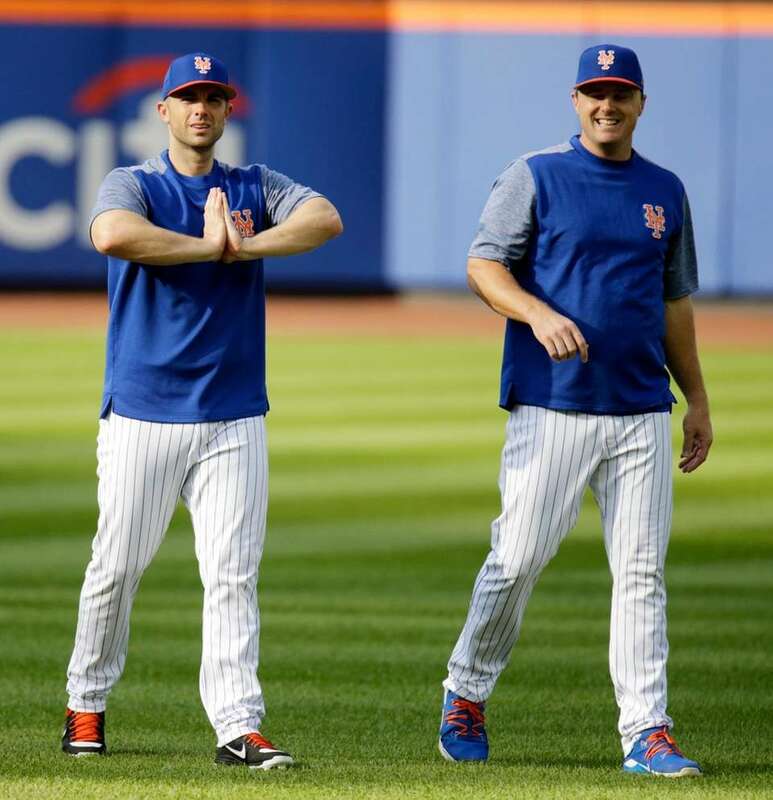 Mets third baseman David Wright with teammates New York Mets right fielder Jay Bruce (19) New York Mets left fielder Michael Conforto (30) warm up before his final game on Saturday, Sept. 29, 2018, against the Miami Marlins at Citi Field. 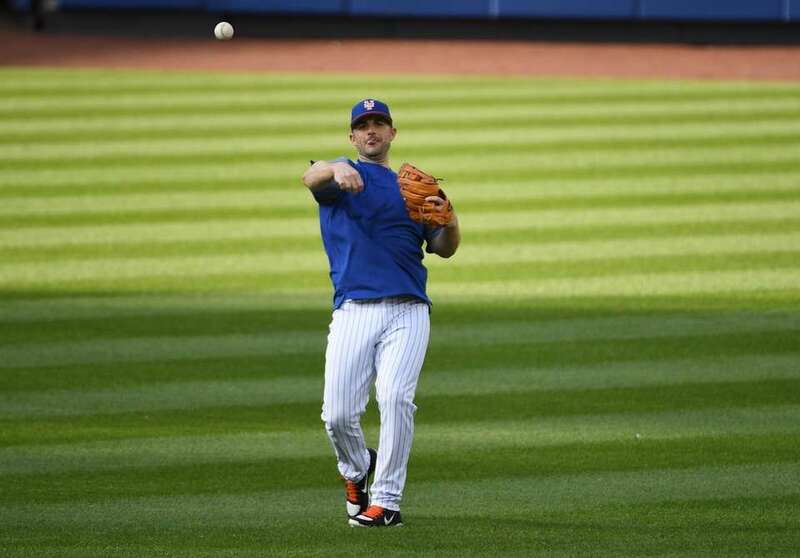 Mets third baseman David Wright and New York Mets Jay Bruce (19) warms up before his final game on Saturday, Sept. 29, 2018, against the Miami Marlins at Citi Field. 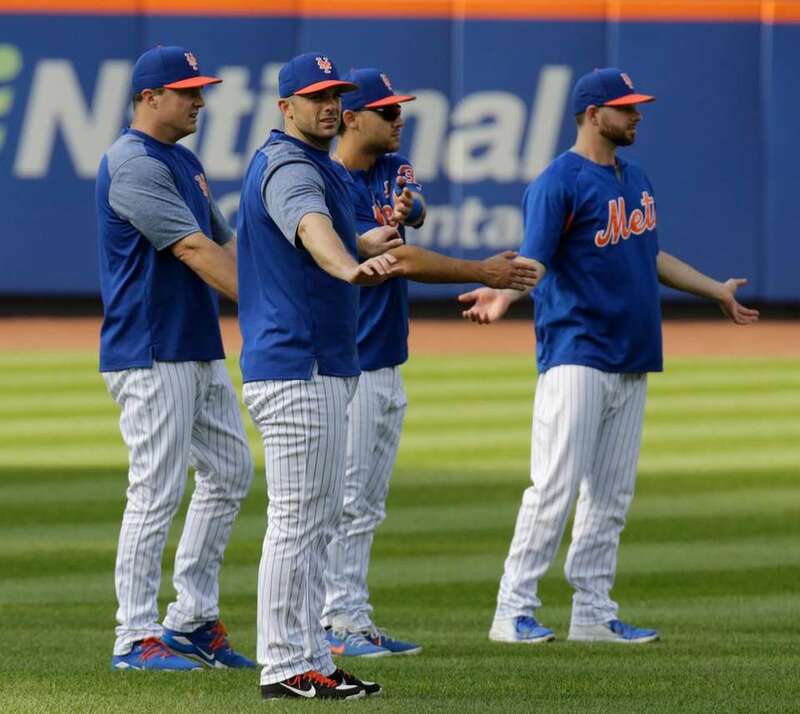 Mets third baseman David Wright with teammates New York Mets right fielder Jay Bruce (19) New York Mets left fielder Michael Conforto (30) and New York Mets catcher Kevin Plawecki (26) warm up before his final game on Saturday, Sept. 29, 2018, against the Miami Marlins at Citi Field. 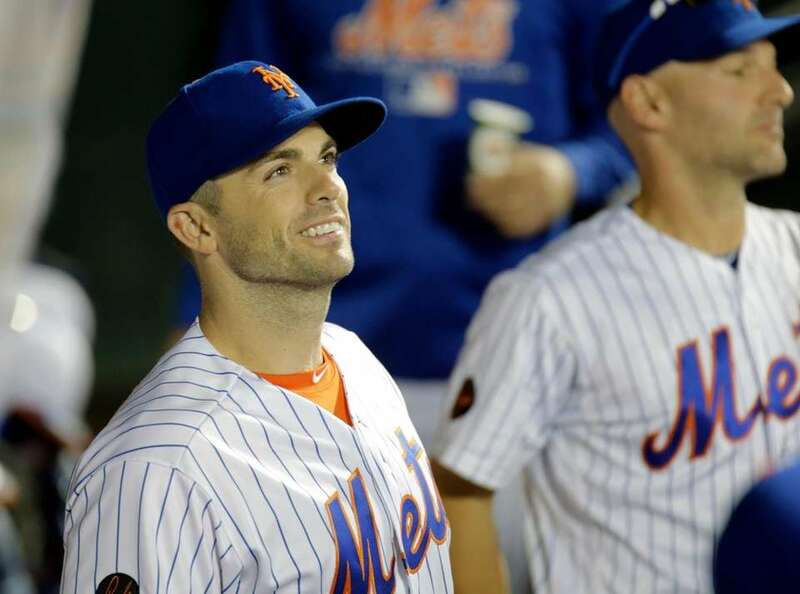 Mets third baseman David Wright warms up before his final game on Saturday, Sept. 29, 2018, against the Miami Marlins at Citi Field.